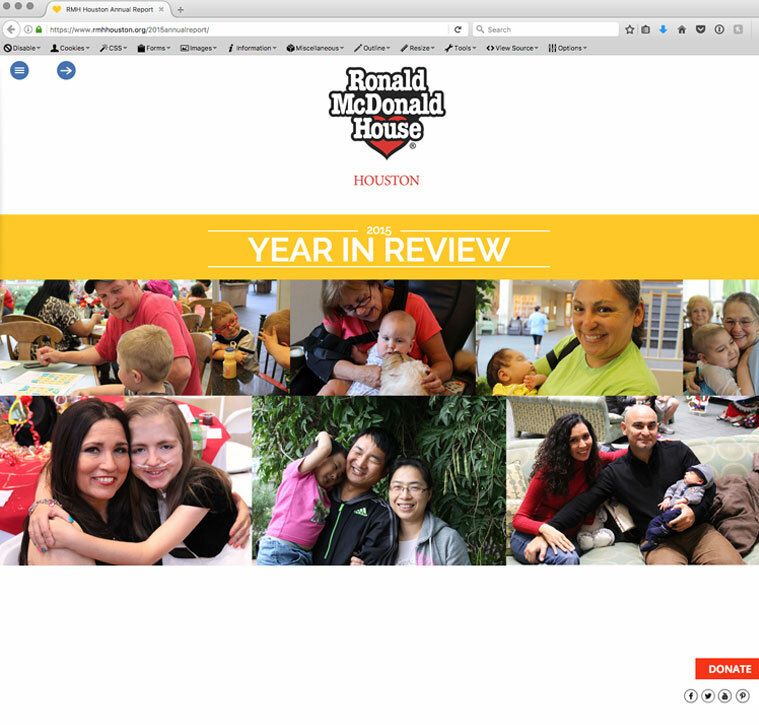 Ronald McDonald House Houston decided to make the leap from a printed Year in Review to a digital one. The result was something that was reminiscent of a print piece the way the sections transition. 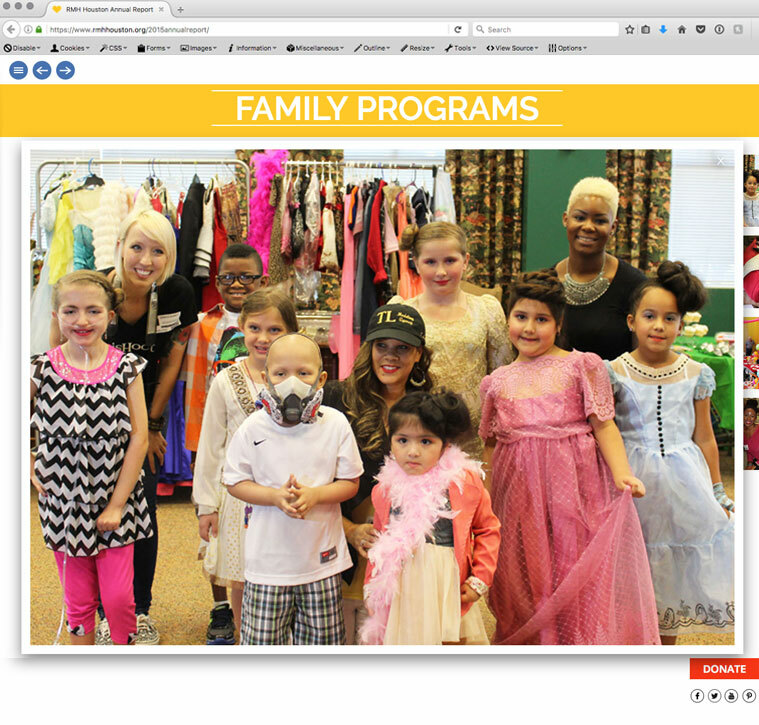 The Year in Review includes photo galleries, financials, information about demographics and programs. Designed and programmed by Sharp Egg, each section is made to feel unique to its content to really showcase the incredible work Ronald McDonald House Houston does for children and families in the time they need it the most. 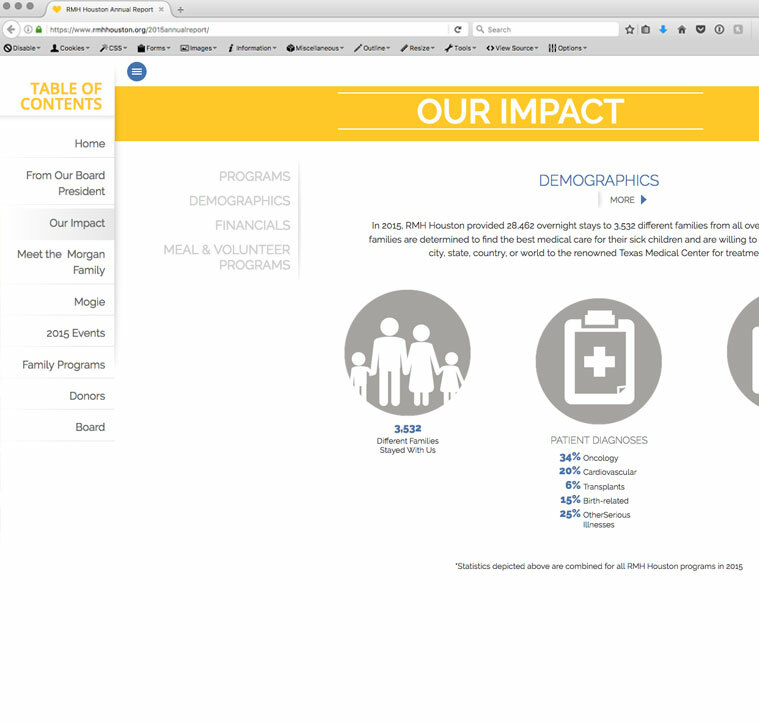 The Year in Review can be viewed here.